When you think of where PGA Tour golfers are from, the obvious answers are states like Texas, Florida, California, and Georgia. States from the south, where golf is a year-round activity. 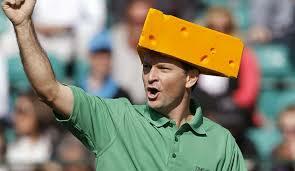 As a Wisconsin native, I have been pleasantly surprised with the players from the Dairy State on tour. Jerry Kelly, Mark Wilson, and Steve Stricker are all tour veterans with excellent track records, each notching multiple wins and all are inside the top 100 in career earnings. This just seems insane to me, disproportional at the very least; Wisconsin’s population is only about 1.8% of the total US population and it has one of the shortest golf seasons in the entire country. Additionally, both J.P. Hayes and Skip Kendall have played several seasons on the big tour in the last couple decades, each earning millions in the process. Unfortunately, of the five players mentioned above, four are between the ages of 47 and 49 with Mark Wilson the odd man out at 39. This doesn’t bode well. This has been a golden age for state players on tour, but the window is rapidly closing. Here is a look at what might be in store from these guys for the foreseeable future. Stricker’s reemergence from an extended slump (2002-2005) and consistent play since shortening his swing to its present state has been nothing short of remarkable. I have no doubt in my mind that he would have won, possibly multiple times, last season had he played a full schedule. In 13 events on tour last season Stricker finished second four times and amassed $4.4 million, good enough for 7th on the money list. Every player ahead of him had at least two wins and no other player in the top 124 had fewer than 16 starts. That is an absurd season. Ludicrous. I do think the limited schedule helped and will continue to keep him fresh, focused, and as injury free as possible for a 47 year old. However, it severely limits his chances of winning since the tournaments he is playing have top tier fields, not to mention there are fewer opportunities. He is off to a poor start this season, taking nearly the minimum $98k from his only two starts (WGC Match Play and WGC Cadillac), but I think he will win two more times before all is said and done. Jerry Kelly is enjoying some good form at the moment, already having earned more money than last season in half of the number of events. Three top tens already including a t6 this past week at the Valero. This is Kelly’s 19th straight season playing a full PGA Tour schedule, which is a lot for a guy with only three wins on tour. 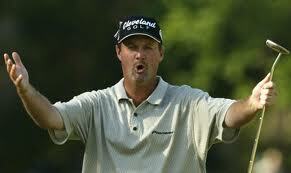 He is 28th on the career money list (Stricker is 8th). I really want Kelly to continue to do well, and I think judging by his current form and track record he has maybe a 25% chance to win again in the next few years. I desperately want that number to be higher. 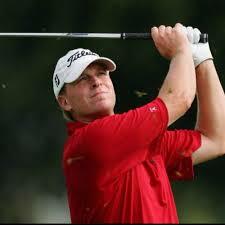 The young gun of the group is Mark Wilson at 39. He has won five times on tour, all since 2007. With his wins at the Sony, Humana, and the Waste Management in the last few years, Wilson has proven he can go low. Unfortunately he is an extreme early season performer; his latest win came at the Honda (2007), the first week of March. Also, he is a pretty short hitter, and will only get shorter as he gets into his 40’s. His recent form has been quite bad, but with his track record I could see him winning again in the next 5 or so years. Probably slightly better odds of him winning again as Kelly. Those are the real contenders for the next Wisconsinite victory on the PGA Tour. The other two guys I mentioned in the first paragraph are in all likelihood not going to win again, but there are still a few years left in this golden age, and with the summer that Jordan Niebrugge had this past year (watch for him at Augusta this year! ), who knows, there may be a new surge of Wisconsin talent on the brink.